Falk Lehmann aka Akut is a German street artist and photographer, a member of the Herakut artistic duo. Falk Lehmann, better known under a moniker Akut, was born in 1977 in the town of Schmalkalden, Germany. Akut got his education in Visual Communication and Graphic Design from the Bauhaus University in Weimar. His graffiti career started in the early 1990s, while he was a teenager. Detached from the real graffiti scene in other larger cities, street art in the town of Schmalkalden developed in its own, unique path. The art of graffiti came into Falk Lehmann’s town in an unusual way – a local kid saw a street art piece while on a vacation in Spain. That kid copied a Spanish piece on a wall and started a neighborhood’s graffiti fever. Soon enough, every kid in Schmalkalden wanted to paint and leave a mark on walls of their native town. Among this children was Falk Lehmann, who was not interested in common graffiti tagging and letter-painting. 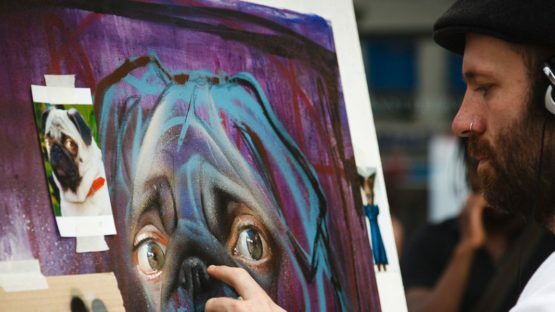 His street art was different from the others – he focused on painting photorealistic wall pieces. His unique style led to a collaboration with Hera the painter in a duo called Herakut, a prolific partnership that started in 2004. 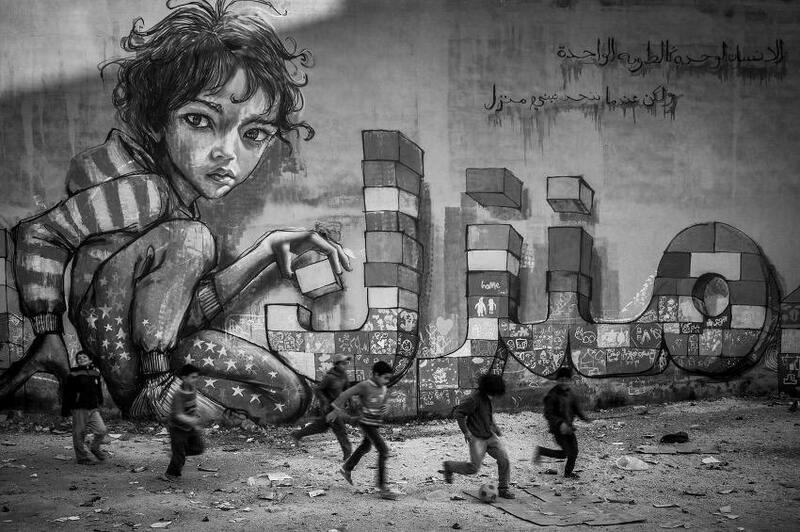 Besides his notable collaboration with the painter Jasmin Siddiqui – a real name behind her better-known moniker Hera, in now famous and previously mentioned duo Herakut, Falk Lehmann aka Akut also makes a strong statement as a photographer. His versatile photo series depict different social problems people are faced with, from many homeless people in Hawaii that lost their homes due to one of the highest housing prices in America, to child workers in Nepal. In addition, the fact that Akut is a graffiti artist himself allows him to capture true essence of street art scene. He captures painted murals in a context with people looking at and living beside the wall pieces, giving us a different perspective on how graffiti affects its surroundings. Akut also made a series of close up photographs named Thumbnail Pollocks, capturing the side effect of his regular occupation. As a photographer, Akut creates photo series that investigate and explore different social and political themes. His photography has a humanitarian and socially conscious touch to it. One of the important problems Akut tried to bring closer to the Western world is a civil war that rages in Syria, a war that makes many Syrian kids to grow up as refugees. One of Falk Lehmann’s photo series, entitled Children of Zaatari, depicts a situation in Zaatari, one of the refugee camps in Jordan. The camp shelters many Syrians fleeing the violence in their native country. The most terrifying fact is that half of the refugees are children. Along Children of Zaatari, Falk Lehmann created another important photo series, Upside Down. 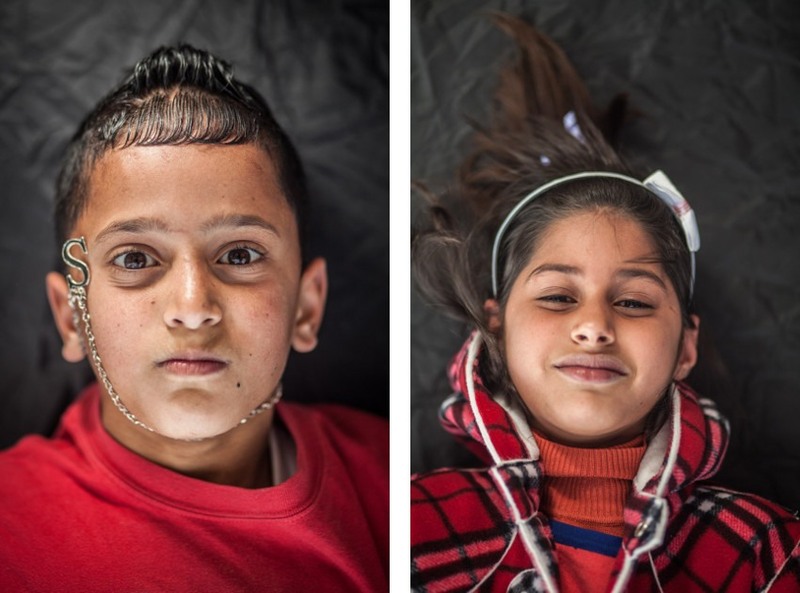 The Upside Down project portrays Syrian children inside the refugee camp, photographed hanging upside down. The artist makes a clever symbolical resemblance of the psychological state these children of war are in – with their life turned upside down, he captures their now warped existence. Due to the terrible war, their normal routines with family, school and play are destroyed. As an ongoing project, Akut continued Upside Down with the recent second part of the photo series, portraying Palestinian orphans in the city of Bethlehem. Falk Lehmann aka Akut lives and works in Schmalkalden, Germany.